This summer I returned to another familiar destination that I had been to once before. ‘Twas the vivacious, lively, wonderful Las Vegas for an encore visit. The last time my family visited was spring break of 2015. This time around, we made it a summer trip. And boy was it hot! I got to spend precious time with friends and family, revisit the Strip, see a Cirque Du Soleil show, eat some good food, explore, relax, and cool off in friends’ awesome pool to beat the heat. In addition to all of that, my sister and I made an appearance on the local news in Las Vegas thanks to the professional, charismatic, talented, and humble Krystal Allan! During the summer I enrolled in two more online classes: music theory and American government. So, I was still busy finishing up my second online class during the first few days in Las Vegas. My family understood that and didn’t plan too many activities until I finished the final exam. 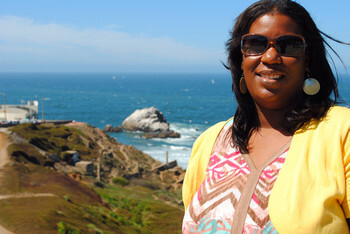 However, once I completed the class and put that behind me, I could truly go out and have fun with my family. 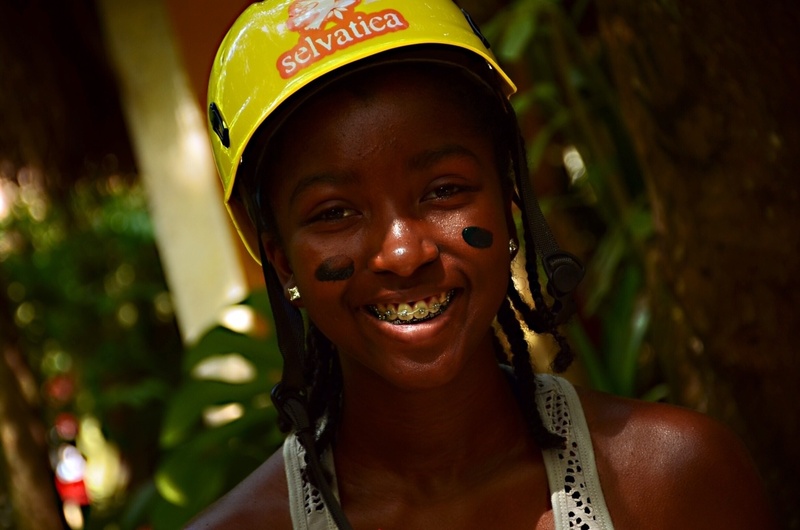 That being said, most of our time was spent relaxing or swimming in the pool, but there are still some really neat activities that are worth mentioning. A day before the actual show, we got to sit in on part of the rehearsal and learn more information about the performers as well as the history of this particular Cirque Du Soleil production. It was super cool to see the daring acrobats do their thing and execute so well! The woman who was leading the conversation about the history of the show recommended Mystére to anyone who is trying to find a Cirque show that is good for kids. She said that this show is her number one recommendation because it is kid friendly, it has a lot going on and it has bright colors. Adding on to that, I would say the show is great for kids because there really is a lot to look at and take in from the hilarious giant baby who is on a journey to find “Papa” to the man who appears to be flying in the air. The show is interesting and intriguing. The stuff that the performers do is extremely neat to watch and will capture any kid’s attention. Mystére was an amazing show and if you have younger ones with you but still want to see a Cirque Du Soleil performance, I definitely recommend this show. Originally, we were going to go to Pole Position Raceway because the producer of News 3 KNBC recommended it, but the whole place was rented out and not open to the public. Note: This happened when we tried dining at Brooklyn Bowl so this might be a thing in Las Vegas. I would recommend visitors always have a plan B or call ahead to make sure your plans are available. 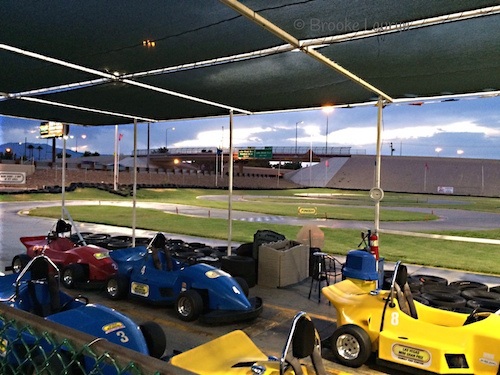 The Las Vegas Mini Gran Prix was not far away so we headed there and it is great for kids. There are go-karts, carnival-style rides, and an arcade, as well as go-karts for those who have their driver’s licenses on them. My family and I went racing in the go-karts twice and then went to dinner at Joe’s Crab Shack. My sister and I got to make an appearance on the Las Vegas news station KSNV thanks to the fabulously fierce news anchor Krystal Allan. She got approval from the producer Ryan for us to join meteorologist Chloe Beardsley during the weather segment. I still can’t believe it when I say it. This was such a unique and unforgettable experience! I think visiting a news station is actually a great idea with kids, especially if there is someone that they know who participates in the action. It was incredible to see how everything worked and what went on behind the scenes as well as during the commercial breaks – the news anchors are hilarious! Who would have guessed that my sister and I would make our little debut on TV on National Milk Chocolate Day too? 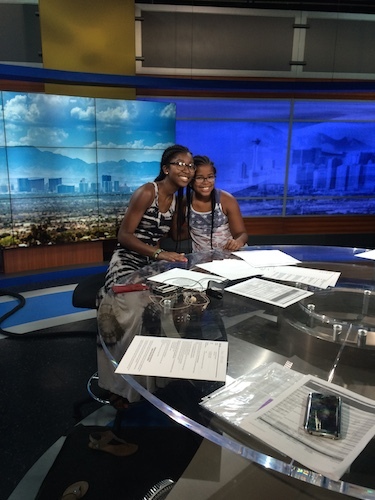 And that we would get to meet the producer and the director of News 3 Las Vegas? These things truly made the whole day a wonderful one, along with seeing Krystal do her thing! Hershey’s made an appearance to celebrate National Milk Chocolate Day and left a cart full of chocolate for the newsroom staff. Needless to say, my chocoholic sister was overjoyed. Overall, this was just a really special experience that I will always remember. How could I forget it? 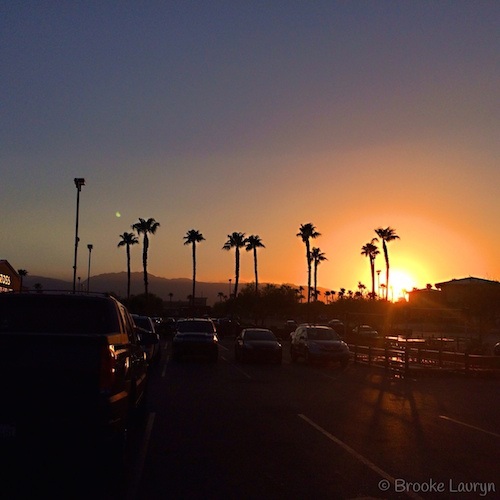 We visited the Strip a few times while in Las Vegas but kept it to a minimum because there were much larger crowds than we expected in the summer. We thought there would be fewer visitors due to the extreme heat. We’re talking 100 degree + temperatures! While walking and sightseeing on the Strip, we got to eat at a couple places I really enjoyed and go to the Flamingo to see turtles, swans, flamingos, fish, and parrots in a designated area outside for free. The Flamingo’s wildlife habitat is a neat option for travelers with kids who are interested in animals or like to go to zoos. After visiting Las Vegas in the summer time I can now say that I don’t really recommend venturing out there with young kids at that time of year. It might be too hot for them or just cause complaining about the heat. 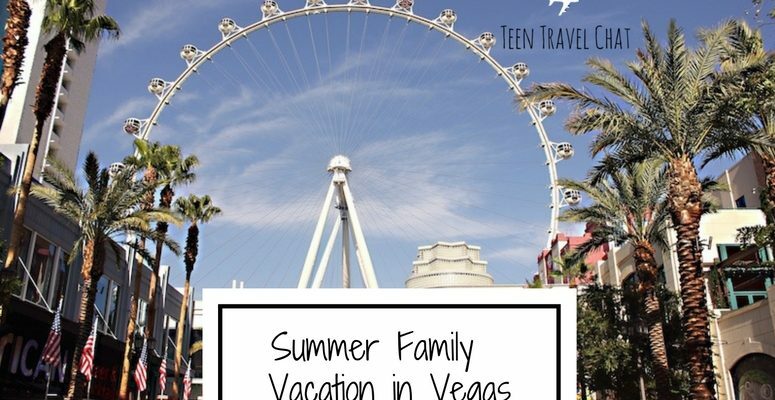 However, a summer trip to Vegas can still be well executed in a way that keeps everyone as comfortable and cool as possible. Some ways to beat the heat include swimming, going to a water park, having an intense water balloon fight, drinking or eating something refreshing, staying hydrated, or even staying inside in the A/C. The most important thing is to drink lots of water so that you can avoid headaches and other symptoms that can come with excessive heat. There are a lot of places to eat on the Strip, but the ones I particularly enjoyed were Brooklyn Bowl (I ate at this restaurant during our last Spring Break trip) and Flour & Barley. Both are in walking distance of each other and delicious. 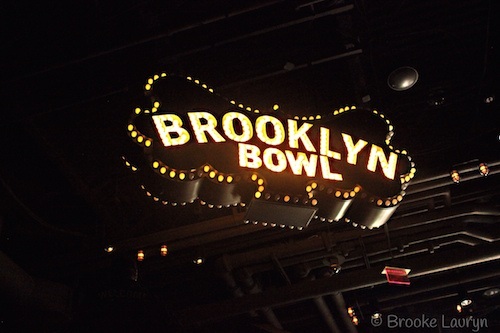 Brooklyn Bowl serves a wide variety of dishes from the BLT to Cajun catfish, while Flour & Barley serves traditional Italian-American dishes but is known for their (delicious) brick oven pizza. 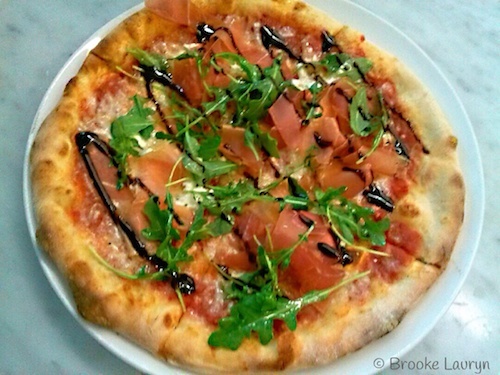 I recommend both restaurants for anyone – with or without kids! Also, when you finish eating at one of these spots, you could walk to Sprinkles or Auntie Anne’s Pretzels for some sweet treats. A few other places to eat that my family really liked during our trip to Las Vegas included Raising Cane’s Chicken Fingers and In-N-Out Burger. Cane’s is known for their tasty chicken fingers. Along with the chicken fingers, I really enjoyed the Texas French toast that comes with them. I don’t have In-N-Out Burger where I’m from, so this was a real treat. They prepare some outstanding burgers that have fresh ingredients on them. For dessert, I couldn’t back down from my cotton candy ice cream from Cold Stone Creamery. However, I think Yogurtland might be a nice place to try because it was jumpin’ in Vegas. As I mentioned before, most of my trip was spent chilling. My sister and I spent a lot of time in the swimming pool in an effort to stay cool and have some fun at the same time. During one of our adventures in the pool, we created a synchronized swim routine that I am pretty proud of. 🙂 In addition to that, I made some friendship bracelets too which I love. Two nights, my family and I enjoyed some root beer floats that I particularly crave –every other day –and just spent time chatting. The relaxation time was rejuvenating. It was a way to appreciate the little things, slow down, and take a break, which was super refreshing for me. 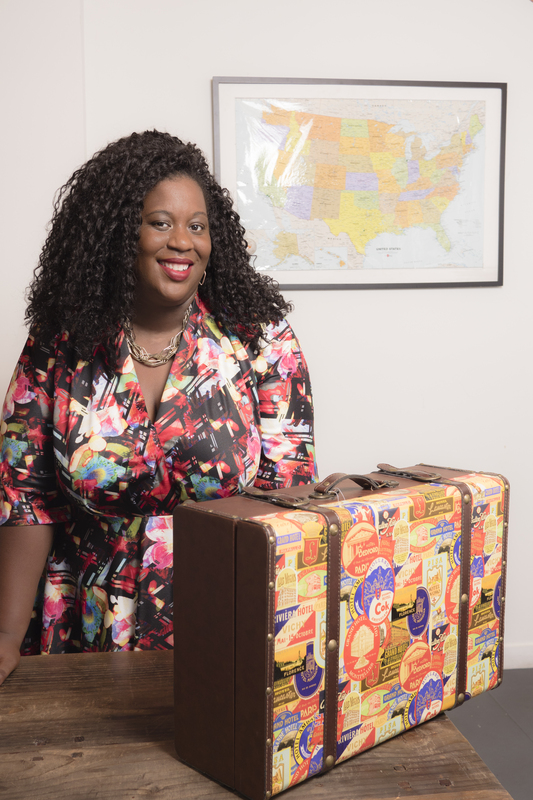 During the entire length of the trip, I learned a few helpful things to take with me as I progress through life. One thing that I would like to share from this trip that especially impacted me is: do not procrastinate; instead, do whatever needs to be done now, and do it to the best of your ability, so that you can feel free and content later. Las Vegas was another great trip that I will not forget. I experienced new things, checked a class off my graduation requirements list, spent time with my loved ones and met new people. 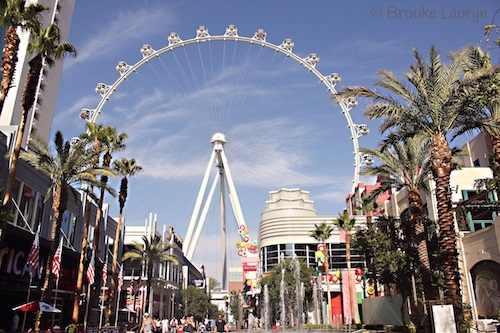 Las Vegas is not just for adults, but is in fact exceptional for families with kids too. Whether you hit the Strip, see a show, go out to eat, explore the outdoors, or just chill, there’s a wide variety of things to choose from.